I have always been a Walt Disney World girl. 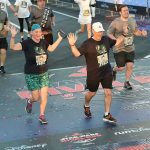 There's about equal distance between the happiest place on earth (AKA Disneyland Resort) and the most magical place on earth (AKA Walt Disney World Resort) and we've just always gravitated toward Orlando to get our fill of pixie dust. I recently had the opportunity to spend some time at Disneyland Resort (love love love) and I was fortunate enough to visit during Halloween Time. 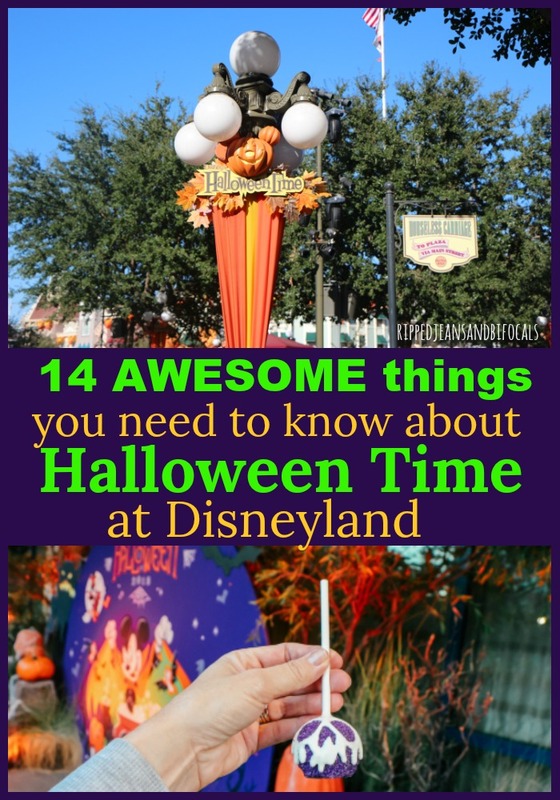 Here are 14 things that are awesome about Halloween Time at Disneyland. Just to give you a brief background on how Halloween Time works at Disneyland Resort, it's an awesome Halloween celebration that extends over Disneyland, Disney California Adventure, Downtown Disney, and in the Disneyland Resort Hotels (Disney's Grand Californian, Paradise Pier Hotel, and the Disneyland Hotel.) This year, Halloween Time runs from September 7th all the way through October 31st. 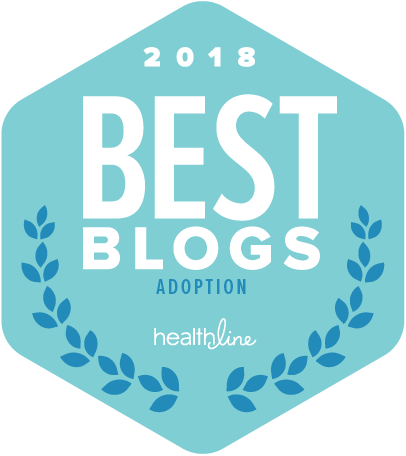 You still have some time this year to schedule that visit! Mickey's Halloween Party probably deserves its own dedicated post. In a nutshell, it's a special party at Disneyland that you must purchase as an add-on…as in not included in your ticket price. 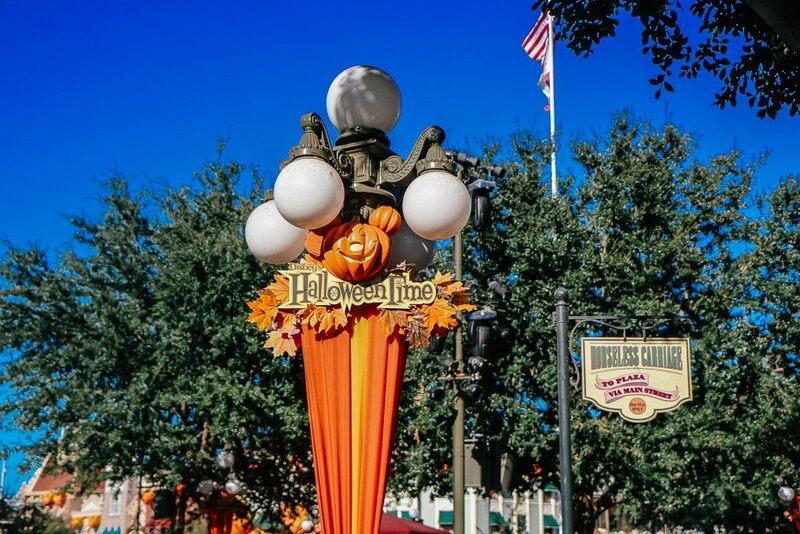 Mickey's Halloween Party runs from 7 p.m. until midnight, however, your ticket will allow you entry into the park at 4 p.m., which is a great deal. Mickey's Halloween Party includes special entertainment: fireworks and a nighttime parade you won't see at any other time of the year. There's also some really generous trick-or-treating for all guests who purchase a ticket. You will be provided a bag upon entry and the trick-or-treat areas are clearly marked. You'll get plenty of candy and it's not a scary environment…as in no creepy clowns or goblins will jump out and try to scare you. 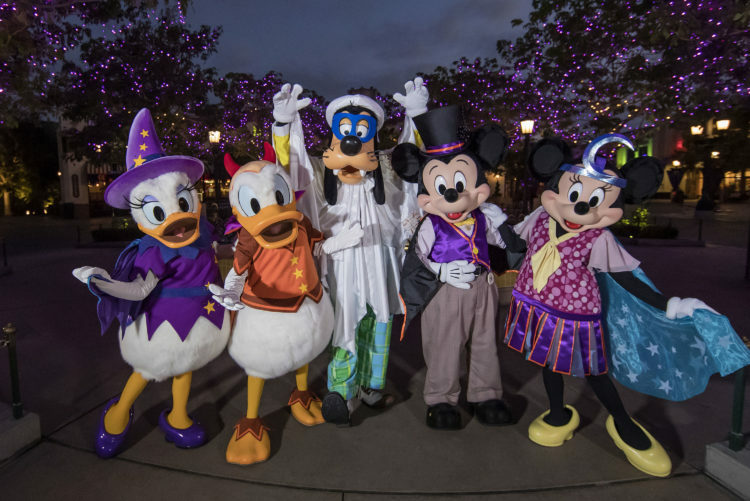 It is definitely Halloween-themed, as the name suggests but Mickey's Halloween Party is for Disney lovers of all ages. According to the website, Mickey's Halloween Party is sold out for 2018. If you stay on property at one of the Disneyland Resort Hotels, you might still be able to buy a ticket. Definitely make “buy them early” a part of your ticket strategy for next year. Disneyland (or Disney World) is going to have photo opps galore on any given day but the Halloween photo opportunities are extra fun. You'll see all your favorite characters but they'll be in their Halloween costumes…even the your favorite Cars friends in Cars Land will be decked out for Halloween. Balloons deserve their own special mention, don't they? There is just something so…joy-inducing…about that big bundle of Disney balloons. 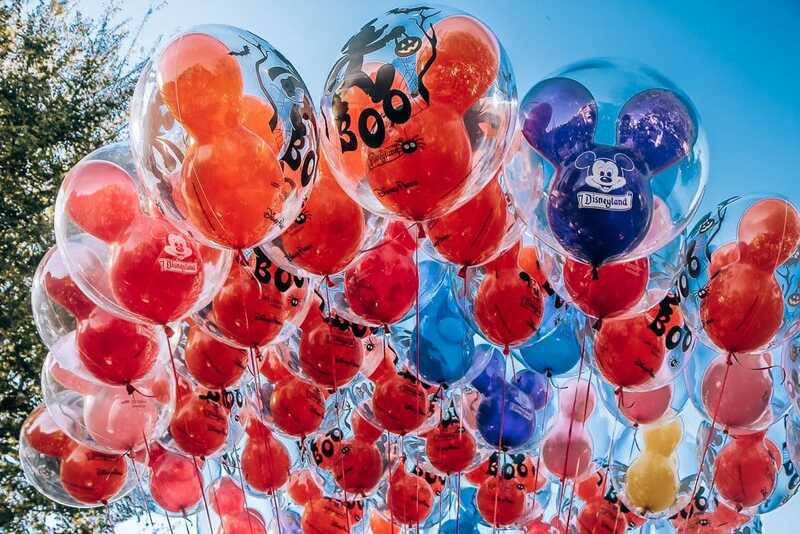 The magic of a holiday visit to Disneyland just make the balloons that much more special, right? 4. 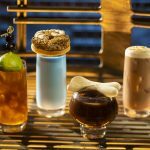 Halloween treats…and other merchandise! Disney treats and snacks are THE BEST whatever time you go. Look for special “Halloween Time” signs at your favorite eateries and snack stations for info about seasonal yummy-ness. 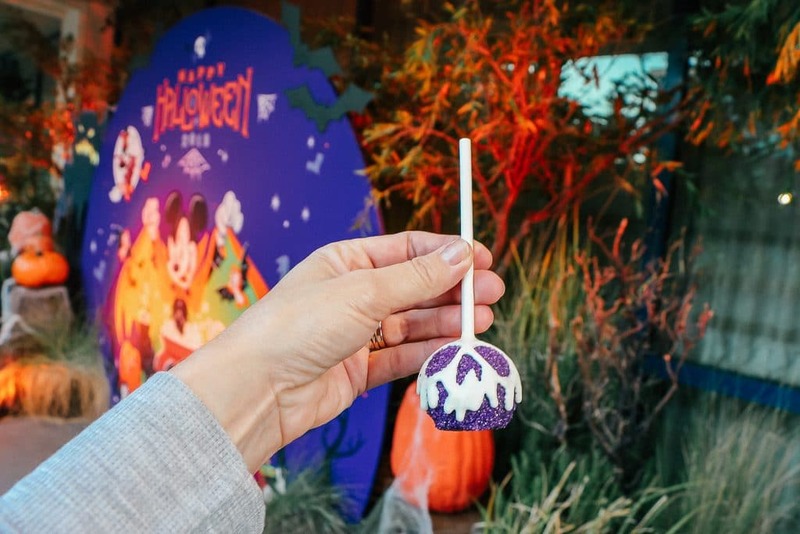 This spooky cake pop is to die for. You might find these in green at Disneyland Resort…they only make 40 of the purple ones each day. If you want those Disney-themed Halloween ears, tee-shirts, coffee mugs and more, Disneyland has a ton of cool stuff that falls into the “gotta have it” category. I did splurge and buy myself some Day of the Dead themed ears since I will actually be at Walt Disney World Resort on November first…but I tell ya, that Oogie Boogie souvenir popcorn bucket was calling my name! 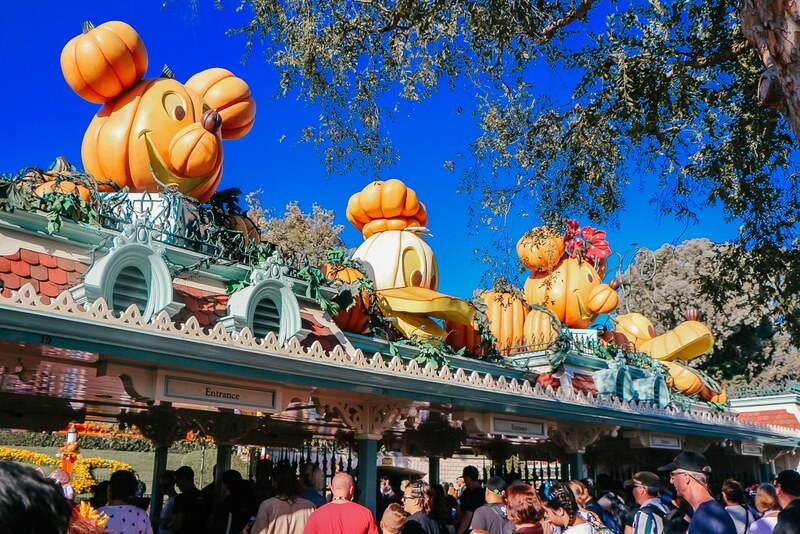 It's so much fun to see the giant, smiling Mickey pumpkins, and the other little touches around the park that show the Halloween spirit. 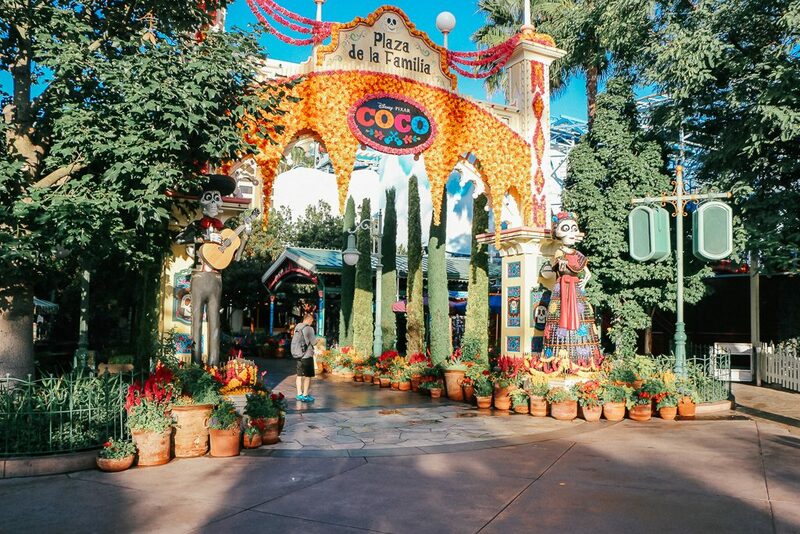 I found the Halloween Time decor at Disney California Adventure to be just a tiny bit scarier than the ones at Disneyland…although not so over-the-top scary that younger kids are going to be freaked out by them. 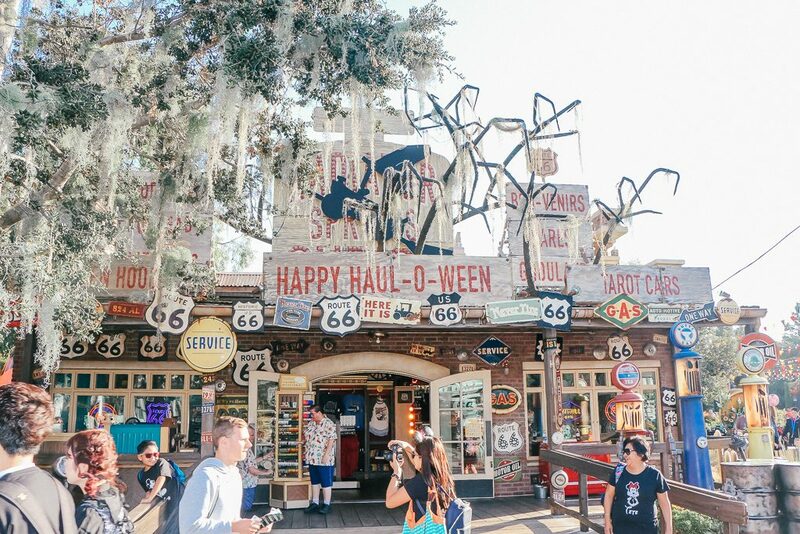 Worth a special mention is Cars Land, which has been completely transformed for Halloween. The creativity and whimsy behind the decor is absolutely stunning. I visited California Adventure three times (yes really!) 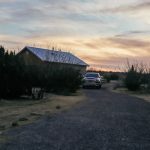 over a two-day period and saw something new every single time. 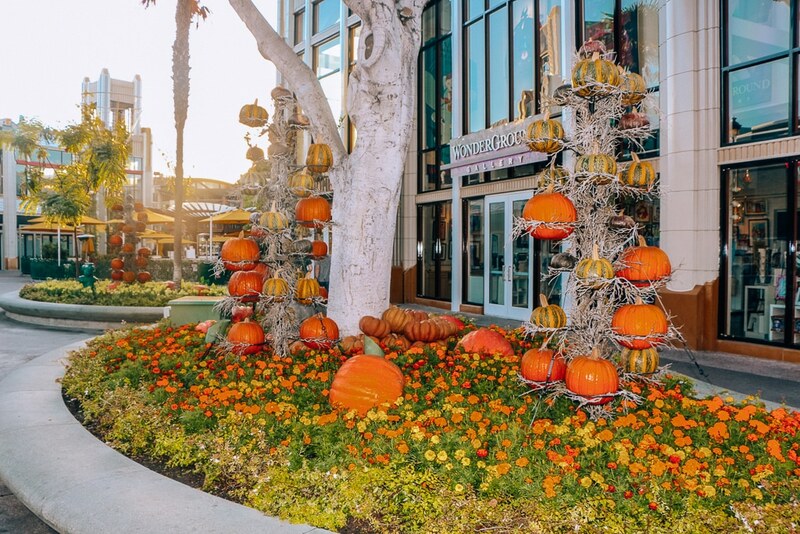 If you don't make it to your local pumpkin patch for a photo opp this fall, Downtown Disney has you covered. There's lots of colorful displays of pumpkins, gourds, and other fall decor that make it feel like fall and also make the perfect photo backdrop. Loving this “candy corn” at Downtown Disney. Need fall pictures? Plonk your family down in front of this gorgeous display. I love Space Mountain. I think it's my favorite ride and I'm so excited to be able to now say I've been on THREE different Space Mountain rides in THREE different Disney Parks. 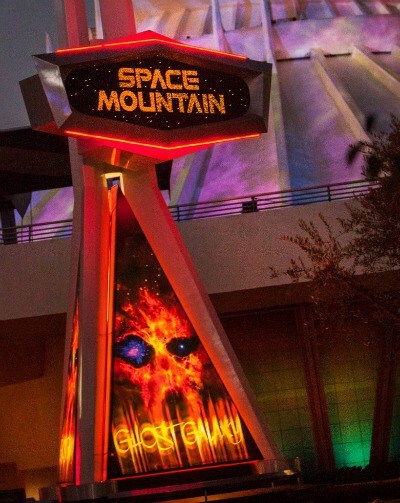 For Halloween Time, Space Mountain has a special, seasonal overlay that transforms a normally thrilling ride into an extra-spooky experience. Let me just say I LOVE the Haunted Mansion at Disneyland Resort. I mean…I'll always love the one at Walt Disney World Resort, too, but I love that the Disneyland version had a completely different look from the exterior…although the concept of the ride is still the same. If you are a Nightmare Before Christmas fan, this is a don't miss. And, although the seasonal themeing is definitely present, it's still not an overly scary ride. Haunted Mansion Holiday will be available through the holidays at Disneyland Resort…because it shows how Halloween and Christmas collide, ya know. 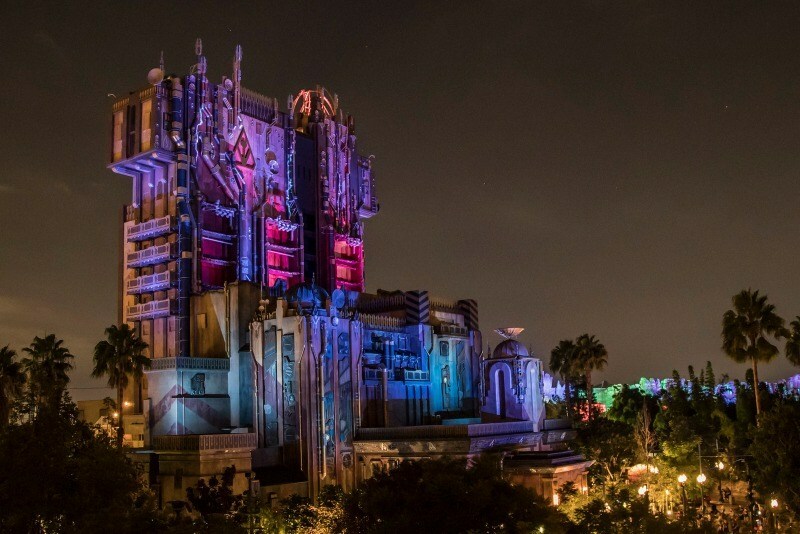 The Guardians of the Galaxy: Mission BREAKOUT has a new look after dark during Halloween Time. I rode earlier in the day and didn't get a chance to experience the Halloween Time overlay but I heard feedback from others that says the ride is “slightly scarier” with the overlay. This ride is definitely a thrill ride, but the regular version isn't scary. For my Walt Disney World peeps, this ride is nearly the same as the Twilight Zone Tower of Terror at Disney's Hollywood Studios with the pre-ride story being much less intense. Dio de Los Muertos (AKA Day of the Dead) is MY holiday. Growing up in a community with so much Mexican Influence, it's just as common to see sugar skulls and marigolds as it is to see pumpkins. I love how Pixar's Coco has brought some much-deserved attention to this holiday…which is a lot less sinister than the name might imply. If you know the Coco story, then you know about remembrance and honoring your ancestors. 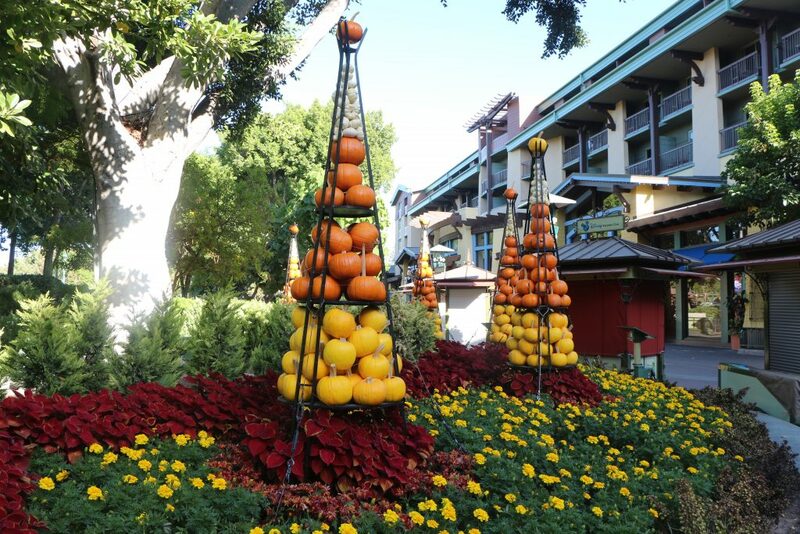 I stayed in the Disneyland Hotel and did a walk-through of Disney's Grand Californian and there's so much Halloween fun at both places. You'll find special entertainment, treats, photo opps and awesome decor. You can also (space permitting) buy your tickets to Mickey's Halloween Party through Guest Services. This is where I bought my tickets, even though the website listed them as “sold out” so I definitely recommend checking. Okay…I hesitated to add this one because Anaheim has been known to have record-high temps in the fall. However, the humidity in Southern California is so much less of a thing than it is where I live in San Antonio (and in Central Florida) and the weather when I went to Halloween Time was practically perfect in every way. If your kids are Disney Junior fans, you probably already know and love Vampirina. 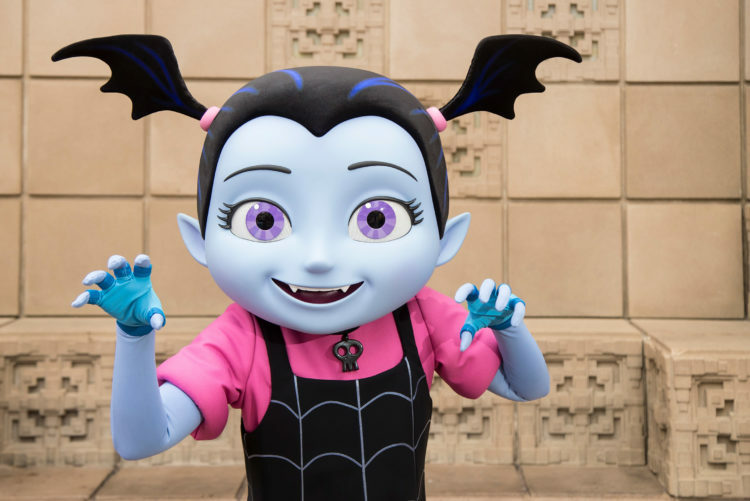 Vampirina is new to the Frightfully Fun Halloween Parade this year and you can also catch her doing character meets outside the Disney Junior Dance Party (where she's a brand-new cast member) in Disney California Adventure. I think we will always be a Walt Disney World family but I'm so happy I had a chance to experience this little bit of Disneyland magic that has me wanting more…and yes, you'd better believe I am planning my kids' first trip to Disneyland…now that I've staked out the lay of the land and all, you know. Stay tuned for that! 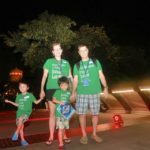 If you're interested in a great deal on a Disneyland vacation, Disneyland tickets and more, check out the deals Get Away Today has to offer. They definitely know their stuff when it comes to planning your best Disneyland vacation ever. I attended a conference at Disneyland Resort organized by Flock Presents. If you're a blogger or a small business owner looking to expand your web presence, I highly recommend you check out one of their events. 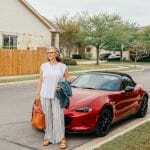 Use JILLROBBINS at checkout at get $25 off.